Store BLOG of Shadows: New Crystals! 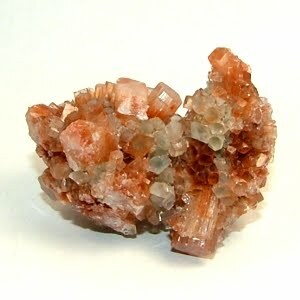 Aragonite: is a stone that is strongly associated with the Earth Goddess. As such it exhibits many of the qualities one would associate with Earth; it is grounding, promotes a wish to be eco-friendly, clears blocked ley-lines, centers, grounds, and stabilizes root and sacral chakras. Aragonite promotes stability, concentration, tolerance and patience. 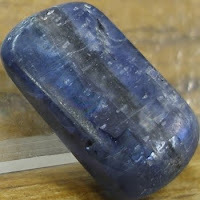 Iolite: is a very good stone for clairvoyance, visualization, insight, and is associated with the Third Eye. Iolite can also be used to help you contact and express your true self, freeing you from others' expectations. 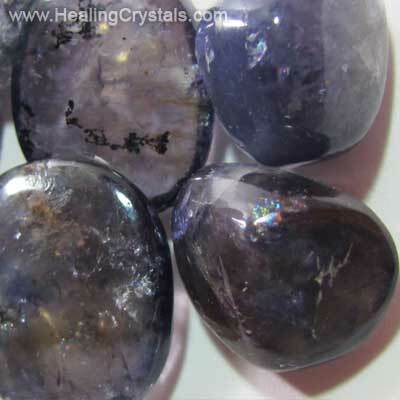 Emotionally Iolite releases discord within relationships. Kyanite: is a very spiritual stone, helping you to stay true to your spiritual self. It is also related to the Throat Chakra and promotes self-expression and communication and helps one to see spiritual and psychological truths. Kyanite helps you to deal with karmic fallout and your past by helping with the realization of your role in causing your own fate and karma. 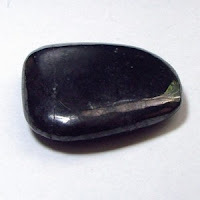 This stone is also useful for increasing your capacity to be logical and linear and helps to remove stress, confusion, anger, frustration and other blockages. 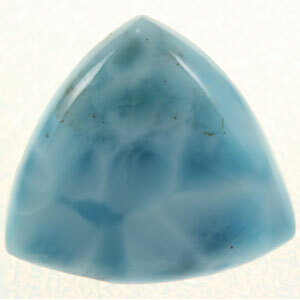 Larimar: is a beautiful stone from the Caribbean and is used to protect oneself from oneself. On a spiritual level it harmonizes you with new vibrations, helps dissolve spiritual boundaries and aids in communication with the angelic realm. Larimar is good for finding one's soul mate and heals trauma from past (and past life) relationships. 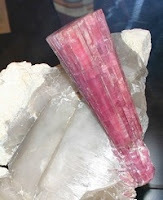 Pink Tourmaline: is an aphrodisiac that attracts material and spiritual love. It inspires trust in love and self love. It cleanses the heart chakra and removes blockages and emotional pain and old destructive feelings. Pink tourmaline also promotes peace, relaxation and connects physical and spiritual love. Shungite: This mysterious stone is only found in one region of northern Russia. Though no one is quite sure where this stone came from or how it was formed, Shungite's healing properties have been historically and scientifically documented thoroughly. Shungite contains a powerful anti-oxidant called a "fullerene" which, until it had been discovered in shungite, was only found in small doses around the world, supposedly where lightning had struck. Despite the presence of fullurenes however, scientists are still at a loss to explain all of shungite's healing properties such as: a vast improvements in those with chronic diseases such as liver disease, kidney diseases and gastrointestinal diseases, aiding recovery from skin diseases and prevention hair loss and revitalization of hair. Shungite is also said to help with wrinkles and restore skin elasticity. As well, Shungite has been said to block electromagnetic radiation from cell phones, radios and other modern appliances. Super Seven: This stone, also known as Sacred Seven, contains amethyst, clear quartz, smokey quartz, cacoxenite, rutile, goethite, and lepidochrosite. It is a powerful stone for healing the mind, body, and spirit. Super Seven can cleanse negative attachments, assist in clearing emotional issues, and help contact spirit guides. 2012 Calendars: Only a few left!